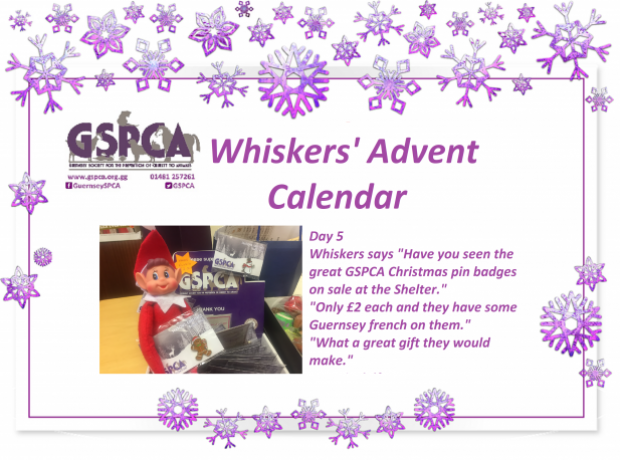 It is the 5th day of December and today our naughty elf Whiskers said "Have you seen the great GSPCA Christmas pin badges on sale at the Shelter." "Only £2 each and they have some Guernsey french on them." "What a great gift they would make." 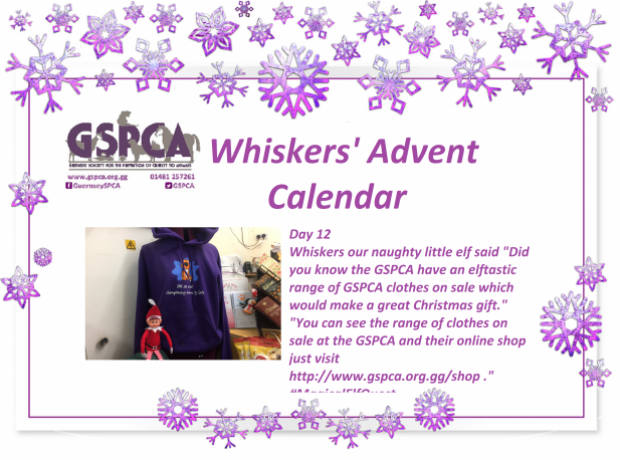 Sometime in the early hours ‘Whiskers’ the cheeky little elf will be joining the team and animals at the GSPCA. 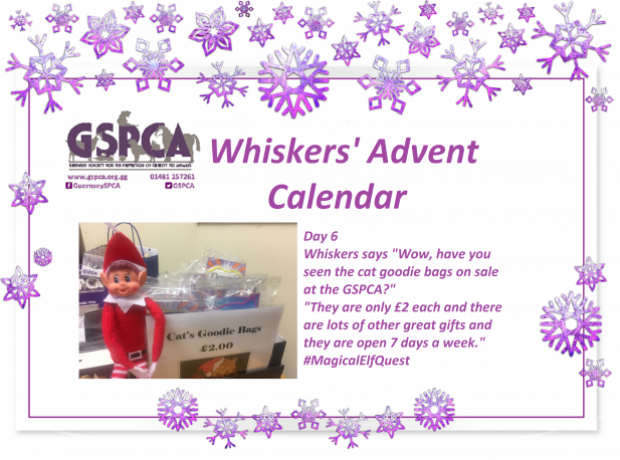 Businesses around Guernsey will be plagued by these cheeky little elves in the Guernsey Press’s Magical Elf Quest. Some mischievous elves are causing trouble for fun. The staff can’t seem to catch them, they’re just far too busy. 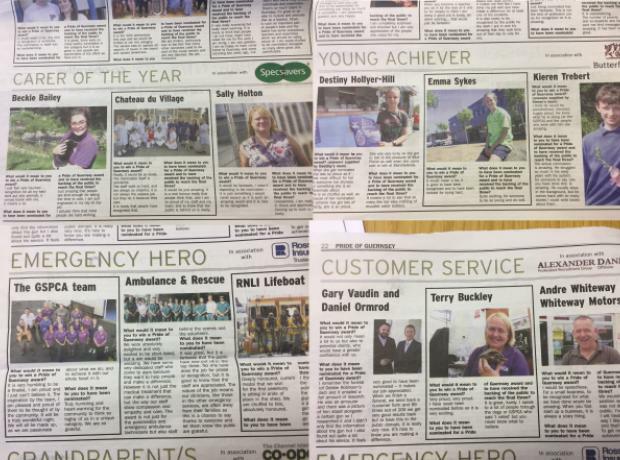 Don’t forget to pick up the Guernsey Press today to see the GSPCA Annual Magazine insert. 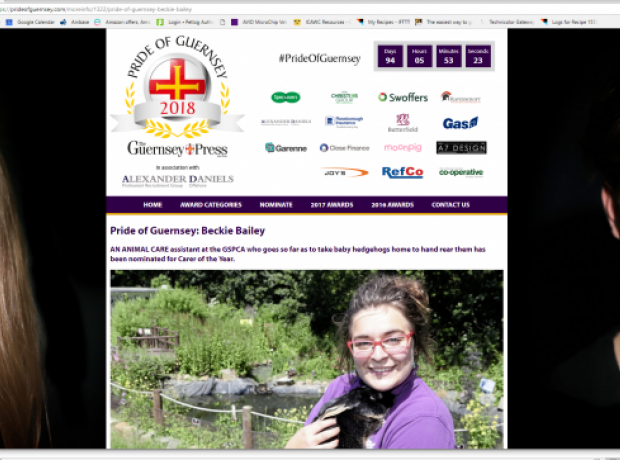 Each year the Guernsey Press kindly put together a wonderful publication to promote the work of the GSPCA and we are hugely grateful for their support. 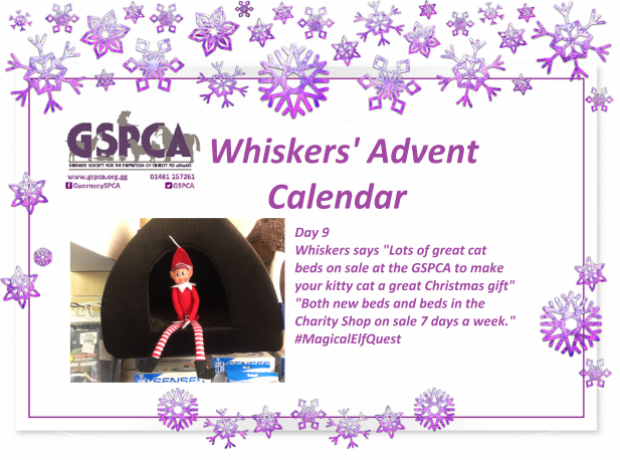 Lorna Prince GSPCA Animal Welfare Manager spends weeks pulling together some of the highlights from the last 12 months as well as upcoming events and relevant news and today you can see the great news items and stories all in one place.